Having taken up his new post in November 2016 after four years understanding the workings of Science Centres as Director of Operations, Ben is steering Winchester Science Centre on a new and exciting path. Ben has previously worked for local authority, managed his own businesses, and led teams for a major high street bank. Most of Ben’s career has been in the arts, working with young people and adults in arts centres and theatres, recently as production manager for Blue Apple Theatre. An inclusive theatre company comprised of learning disabled adults. Ben was production manager for the first major tour of a learning disabled cast into mainstream theatres which was subsequently made into a BBC documentary. He is a Trustee of the Association of Science and Discovery Centres. A school governor, parent of two science mad boys. Ben has a hearing impairment and suffers with tinnitus and is a campaigner for hearing loss awareness. Toby King has spent his career building and working in small, hi-tech, engineering companies, predominantly in the medical devices and renewable energy sectors. He is currently a non-executive Director at Bowman Power Ltd., where he was formally CEO, and is Chairman of Libertine FPE Ltd, a small business developing linear electric machines. He is also Vice-Chairman of EngineeringUK, the national charity promoting Engineering to young people, and he advises Imperial College London on medical device spinout opportunities. Toby has a first degree and a PhD in Medical Engineering from the University of Cambridge. A chartered Engineer, he is a Fellow of the Institute of Mechanical Engineers. After graduating from the University of Southampton, Dan Conroy undertook a postgraduate degree in Ingénierie du Bâtiment at the Ecole Nationale des Ponts et Chausssées. He joined Terrell’s Paris firm for five years before transferring to the London office where he is now Managing Director. Dan has delivered multiple Healthcare, Education, Sports, Cultural, High-rise & Residential projects. Working with renowned architects such as Nouvel and Foster, Dan is known for his rigorous objectivity, engineering-architecture discipline and collaborative relationships. He is “Design-and-Construction” driven and has championed the use of BIM. Dan is shareholder and board member of Terrell Group. Terrell Architecture was created, as part of the Terrell group and in response to Dan and James’s belief in a new way forward for the architecture-engineering partnership. Their skills are married together in Terrell Architecture, offering an interdisciplinary service where the client benefits from a balance of subjective and objective thinking, combined to produce great buildings. James Burland trained at the University of Bath. His career as an architect began at the multi-professional design practice, Arup Associates, and later with Philip Cox in Australia. On returning to the UK, he re-joined Arup where he became its lead Architect and designed several award-winning projects including the City of Manchester Stadium and Arup’s Midlands campus building. James founded his own practice in 2000 where he worked on film studios at Pinewood, Shepperton and Ealing. He is consultant architect to the Terrell Group creating an interdisciplinary design studio - Terrell Architecture. Peter is a Fellow and a Trustee of the Institute of Acoustics and a Chartered Engineer and a Registered Expert Witness in the fields of Planning, Nuisance and Licensing, recently providing evidence to a House of Lords select committee on acoustic matters. Peter has over 25 years' experience delivering noise and vibration solutions on a wide variety of projects. He began his career in Local Authority and with this unique insight moved into consultancy and now specialises in Building Acoustics and Environmental Noise and Vibration control. He works within projects to use acoustics design to solve problems, and create better places to be both inside and outside of buildings. Peter has been involved in raising the standards for acoustics and champions optimizing spaces for health and wellbeing. He also is the Managing Director and founder of Sustainable Acoustics and remains an active engineer interested in ways to use acoustics to create a better future. He developed the Quality Mark for special educational needs schools with the NDCS. Key projects he has been involved with include The Millennium Stadium, Wimbledon Centre Court, O2 Audience comfort, Living Planet Centre WWF HQ in Woking, Olympia, TEN87 Studios, Olympic Park Legacy Licensing, and numerous flag ship education spaces. A public engagement strategist and widening participation expert, Dr Ben Littlefield has been involved in Science Communication for over 12 years. 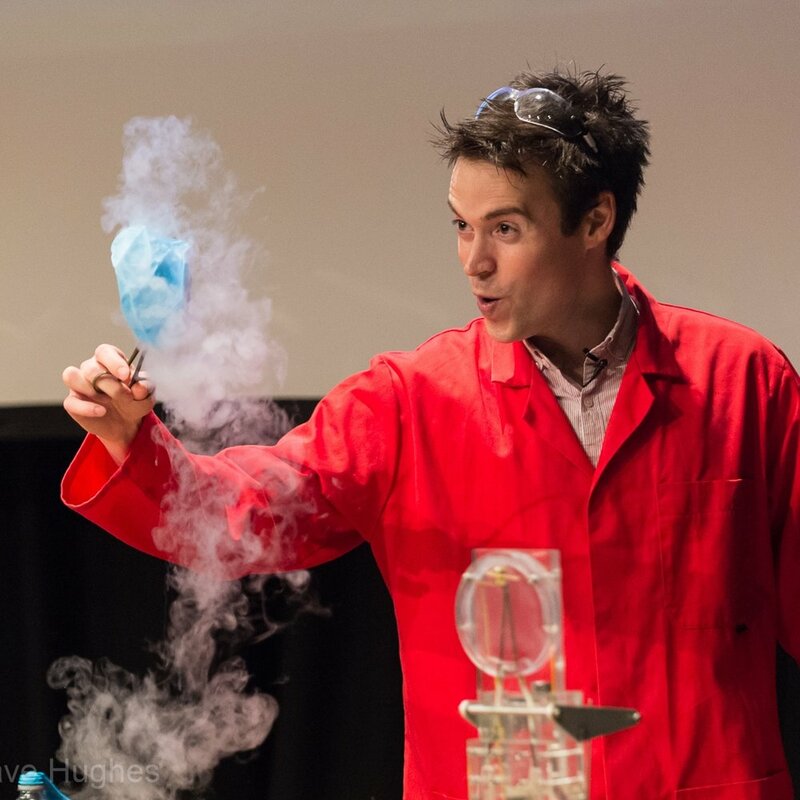 His experience ranges from personally developing and delivering critically acclaimed live science shows at Bestival, Winchester Science Festival and Cheltenham Science Festival to being the lead scientific consultant for the Discovery Channels Breaking Magic show and the Association of Science and Discovery Centres national Project on communicating the Secret World of Gases. Dr Littlefield has also led on the design, curation and delivery of a number of highly successful public engagement installations including the University of Southampton's presence at Cheltenham Science Festival and the Royal Society Summer Science Exhibition and the University of Reading's presence at the Royal Berkshire show, Natural History Museum (London) and BBSRC's Great British Bioscience Festival. Strategically Dr Littlefield contributed to the University of Reading's Widening Participation and Access policy and has won over £250,000 worth of funding for public engagement related projects, most notably leading the University of Southampton and University of Reading team's winning funding bid for £150,000 to run part of the Royal Society of Chemistry's landmark longitudinal widening participation scheme, Chemistry for All. He is a committee member of the Royal Society of Chemistry local section, a founding member of the Southern Consortium for Public Engagement and an invited committee member of the University of Southampton Strategic Group for Clean Carbon Technologies. Currently Head of Education at Winchester Science Centre he has led the dramatic increase in quality of experience and quantity of visitors, leading both a full internal review of all educational content, revolutionising holiday content and contributing to the pedagogical rigor and design of interactive exhibits. 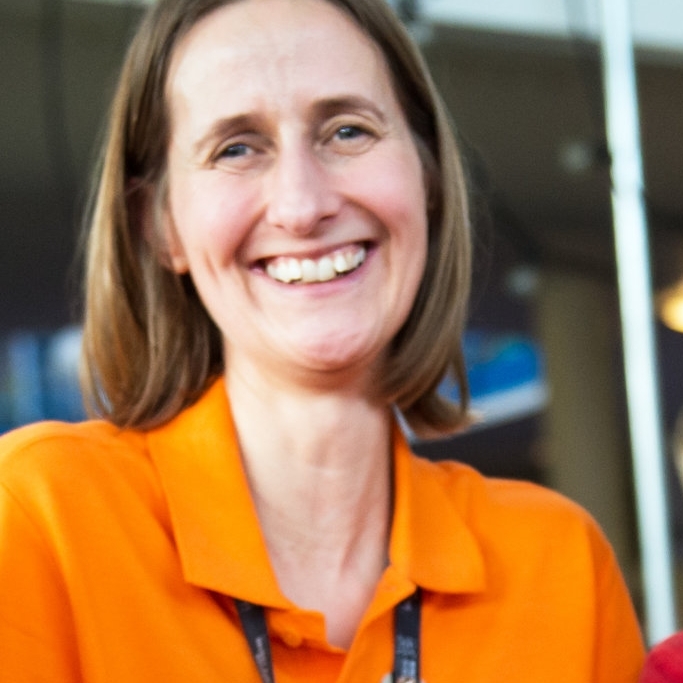 Emily Thorpe-Smith is the Director of STEM Strategy and is responsible for the Central South England STEM Ambassador Hub, British Science Association CREST Awards and collaborating with industry and academic partners to deliver various other STEM Projects. 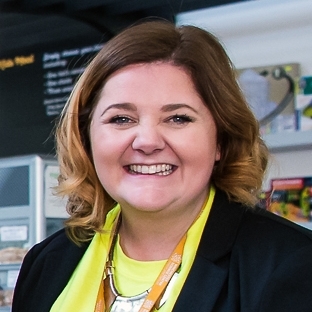 Emily was previously a Secondary Science School Teacher specialising in STEM curriculum and primary engagement, after completing teacher training through Southampton University. Before teaching Emily worked as an Ecologist (mainly catching snakes, corralling newts and identifying plant species) after studying BSc Ecology and Plant Science at Worcester University. Charlotte Barnaville is the Director of Marketing and Communications and is responsible for raising awareness of the charity’s aims, promoting the centre, the outreach programme, and managing fundraising. Charlotte works closely with tourism, education and corporate partners within the region and sector to strengthen and broaden the reach and achievements of Winchester Science Centre. Prior to joining the organisation Charlotte was responsible for marketing and communications at Winchester Cathedral, supporting a £20m capital appeal for development and conservation. Jane Chuhan is the Fundraising Manager, supporting WSC to achieve the resources needed to fulfil the charity’s objectives. Jane works in partnership with a range of organisations including trusts and foundations, scientific societies, companies, and universities, to fund educational activities, new exhibits and large capital projects. Jane holds a Masters degree in Chemistry from the University of Oxford and spent 13 years working for ExxonMobil, during which time she gained experience through a variety of roles in technical sales, business analysis and operations. Dr Dolores Byrne OBE has been a Trustee since 2015 and is Chair of the Fundraising Committee. Dolores is a chartered engineer and an Honorary Fellow of the Institute of Engineering and Technology. A former Managing Director at the defence & aerospace company QinetiQ, she has been a Board member of several business and charity organisations including serving as a Trustee and Vice-President of the IET and of the IOP. She has also been chair of the IET Fundraising Committee. Dolores is currently a Non-Executive Director at Sellafield and at RSSB.